I've never had one and wanted to try it out. This MTM one has been the best one I’ve used, but there are cheap ones on Amazon that work okay too. Depends on what you are looking for. So what makes a foam cannon like this one create more foam than an Amazon one? I currently have an amazon one and I am not too happy with it. I dont know if its the device, my pressure washer or if im not using enough soap. I use the adams foam cannon it's good but i'm gonna upgrade to the MTM. the MTM is the one to have. I currently have an amazon one and I am not too happy with it. I don't know if its the device, my pressure washer or if im not using enough soap. there's some matching of orifice size and the pressure of your pressure washer. some say that a higher gallons-per-minute makes the most difference. 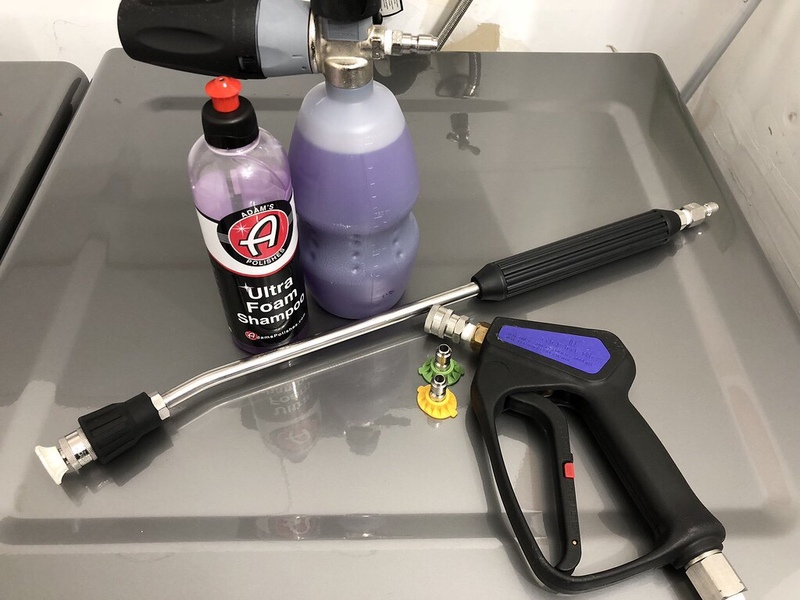 Matt from Obsessed Garage on YouTube has some videos where he's testing out a huge variety of pressure washers to find the right combinations, he might even have a found a good combination for your model already and is selling it on his site. I get shaving cream foam with almost anything I throw in. Just 1400 PSI, but with 2.1 GPM for my PW. FWIW, I wanted to buy the highly regarded MTM PF22 but, at the time in 2018, there was a 1.8 gpm requirement from the power washer. My Karcher K5 is a 2000psi / 1.4 gpm unit so I went for the Torq EQP322 Big Mouth instead. Very disappointing with almost no foam (at least with Gyeon Foam). Now the MTM is sold with different size orfices so low volume applications work. Bottom line, get the MTM as others have indicated. Thanks I'll have to check that out. I currently have the Karcher K5, I believe it has 2000 PSI. Hopefully it can produce that much foam as well. Are you using a electric pressure washer? If so, try replacing the orifice on the foam cannon to a 1.1 MM.